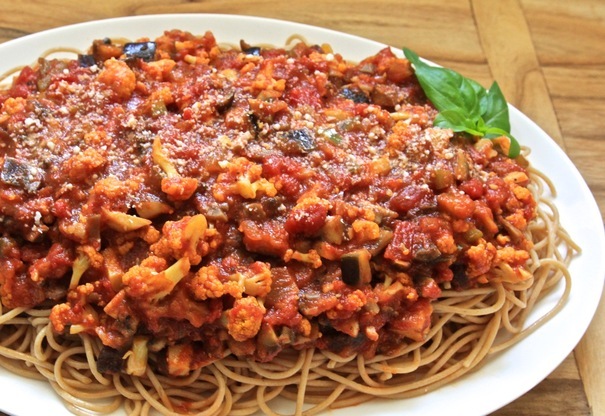 Put chopped eggplant on a tray layered with a paper towel and sprinkle with salt. Allow to stand 15 minutes. Heat a large skillet and fry the eggplant in 2 tablespoons of olive oil until it is golden brown. Remove from pan and set aside. Using same pan, heat the rest of the olive oil over medium-high heat, and add garlic and onion. Add tomato paste, oregano, and pepper flakes, and cook for a minute, stirring frequently. Add vegetables and cook at medium heat for five minutes. Add salt and pepper, and the crushed tomatoes. 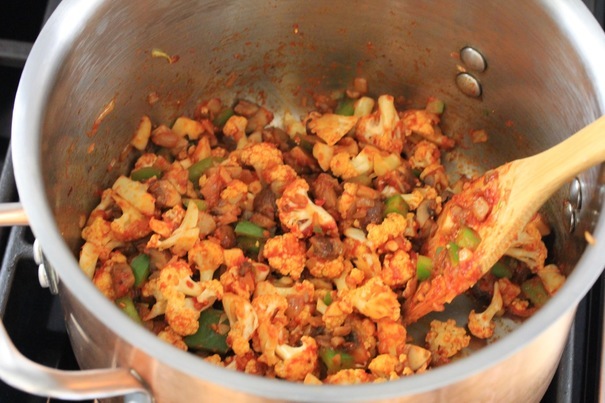 Simmer sauce until vegetables are tender and sauce has thickened slightly – about fifteen minutes. Cook pasta according to package directions, drain and place on a serving platter. 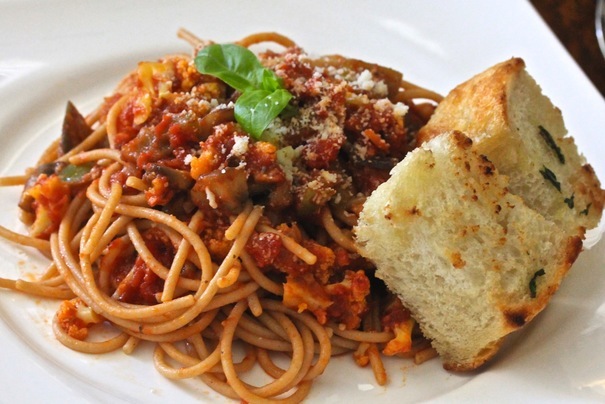 Spoon spaghetti sauce over pasta, and serve with Parmesan cheese.